The citizens of most countries do not need a visa to come to Guatemala. You certainly do not need one if you come from the US, Canada, or Europe and your visit is shorter than 90 days. You do need a valid passport. We recommend that your passport be valid during your whole stay in Guatemala. Do I need to be vaccinated before visiting Guatemala? The government of Guatemala doesn’t require proof of vaccinations. However, it is recommended that you’re up to date with regular vaccines and vaccine for hepatitis. It’s a good idea to check your children’s vaccines as well. Can I bring my pet into Guatemala? Yes, however you do need to fulfill some requirements, especially getting a health bill approved by a Guatemalan consulate. We strongly advise you to obtain an authorization before making flight reservations. Can I bring Guatemalan medications into the US? Sorry, you probably can’t. Check with one of our dentists to see what medications you’ll need and what an equivalent would be in the US. Alternatively, plan to spend your recovery in Guatemala so that you don’t need medications when you go back home. Not at all. Most hotels and tourist areas will have staff members that speak some English. You certainly do not need to speak Spanish with us since all of our dentists are fluent in English. Should I stop smoking or drinking before my procedure? That will completely depend on the procedure you’re getting. 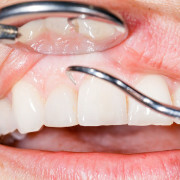 For instance, procedures that involve some sort of dental surgery may require that you stop smoking or drinking for some time before you can have them. In many cases, you will not be able to drink or smoke for some time after the procedure either. Check with one of our dentists for exact details. 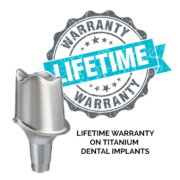 How does your dental guarantee work? We value the trust our patients put in us. So much so that we stand by all our work with a 10 year guarantee. If you have a problem with dental work done by Dental Experts Guatemala, we’ll correct the problem. 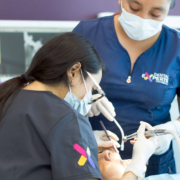 We offer this 10 Year Dental Guarantee because we’re confident in the high quality of our work and want you to have complete confidence in you decision to choose Dental Experts Guatemala. Any work or materials that fail within 10 years of purchase, (excluding negligence or abuse) will be replaced at no charge under our 10 Year Guarantee. To earn your complete confidence, we will gladly replace any unsatisfactory work or materials at our expense. Will the costs be covered under my insurance policy? Insurance policies vary greatly and it’s impossible to give a general answer. Some insurance policies require the patient to pay the expense out of their pocket and then reimburse them once they’re back home. A few rare ones will pay directly for the treatment. Sadly, some insurance policies will not cover treatments abroad. You’ll have to check with your insurance provider for exact details. How much do I save by going to Guatemala? It’s hard to give a specific answer because dental care prices vary greatly in the US, but most customers report savings from 50% to 80% of the cost they would have paid back home. 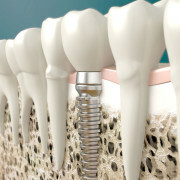 In general, the more expensive the procedure, the greater the savings are. Recovery times vary greatly from procedure to procedure. Simple procedures require you to wait 1 hour before you can eat, whereas complex ones may require you a couple of days of rest. Talk to one of our dentists for specifics.